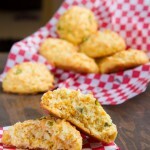 Dairy-free and grain-free cheesy biscuits made with daiya cheese. High-fat, keto and perfectly low carb. Preheat oven to 400F and line a baking sheet with parchment paper or a silicone baking sheet. Set aside. Add wet ingredients to a large bowl and whisk until incorporated. Set aside. Add dry ingredients to a small bowl, mash up until combined. Add dry ingredients to wet and stir until combined. Fold in dairy-free cheddar cheese and chopped jalapenos. Drop batter onto prepared baking sheet into 8 biscuits. Once on the sheet, you can shape lightly with your fingers. Transfer to preheated oven and bake for 15 minutes, or until golden. Remove from the oven, allow to cool on the baking sheet. Store in a sealed container in the fridge for 3 days, or in the freezer for up to 2 months. Tallow: If you do not have or do not use tallow, you could try melted coconut oil or red palm oil. The red palm oil would change the look of the biscuits to a light red color. If you want to use a liquid oil like avocado oil or olive oil, use the same amount of oil, but bake these in silicone muffin molds instead. Daiya dairy-free cheddar cheese: can be purchased at any health food store, or here. If you do not have access to dairy-free cheese, you could likely replace this item with an equal amount of nutritional yeast and 2 teaspoons of gluten-free mustard. Also, if you are trying to eliminate coconut COMPLETELY, do not use Daiya as it contains a spot of coconut oil. 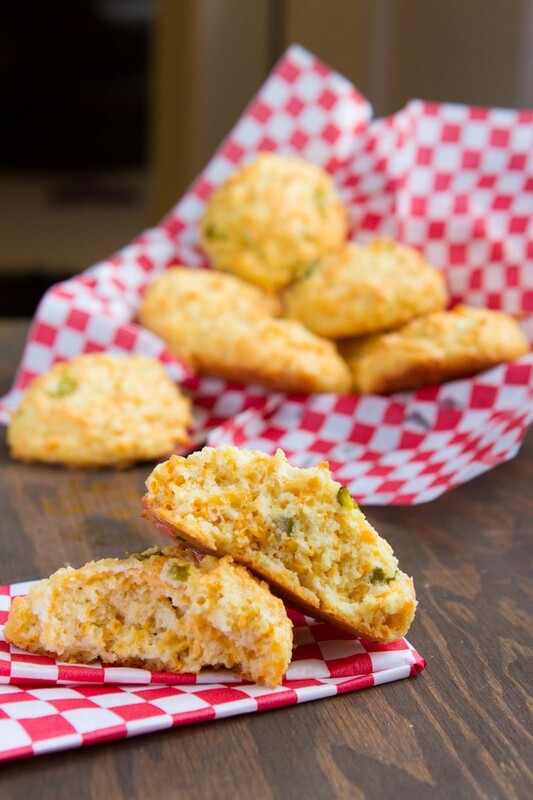 Jalapenos: These grain-free biscuits are delicious with jalapenos. Add them in if you like, they’re not too hot.